Though most of the world is looking ahead to Microsoft's next console, the firm isn't quite done fiddling with the Xbox 360. According to a new Verge report, Microsoft will be releasing a beta version of a new dashboard update for the Xbox 360 sometime in June or July of this year. This update will reportedly arrive in preparation for the firm's next console, with changes including a new user interface more closely resembling what Microsoft has planned for Windows 8.1 as well as new aesthetics/color options. 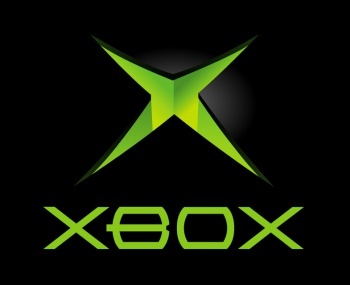 The main goal of this update is to bring the existing Xbox 360 in line with Microsoft's imminent future products. Once updated, your current console should be able to use the same Xbox Live features found in Microsoft's next console, thus providing some level of interoperability between the two devices, and giving current Xbox 360 owners some assurance that their extant machine won't become immediately obsolete once the Xbox 361 (or whatever it's eventually called) hits store shelves. Further, The Verge claims that Microsoft is planning to reveal "a smaller and denser Xbox console with newly designed controllers that are said to be 'flattened' in appearance." While we don't know for sure, we would expect this to be the Xbox Mini rumored in April. Concrete information is scarce, but according to reliable sources, the device will more or less be a smaller version of the Xbox 360 with an enhanced focus on streaming media and playing games directly from the gadget's hard drive. It's also reportedly designed to connect directly to the next Xbox, bypassing worries about the system's backwards compatibility by wrapping that entire concept up in one major, likely costly "peripheral." As Microsoft has yet to officially confirm or deny this report, we urge you all to take the above with a grain of salt. Still, this new information jives with everything we think we know about Microsoft's plans, so unless the company plans to swerve its prospective customers big time, it seems likely that the reality will be something close to what we've described here. Expect further information very soon.